Why is Big Data transforming the way we live, work and think? What really is Big Data, beyond the hype? How will Big Data offer new sources of revenue to businesses, and how will organizations change in the Big Data age? These are just a few of the questions Viktor Mayer-Schönberger has addressed in over a hundred presentations since the publication of the book he co-authored, the international bestseller Big Data: A Revolution That Will Transform How We Live, Work, and Think. In his speeches he has looked at Big Data’s role in changing the face of everything from product development and scientific discovery, to human learning and health care, transportation, retail, finance and marketing. An internationally acclaimed and sought-after keynote speaker, Mayer-Schönberger has addressed a wide spectrum of audiences, from high-level corporate board retreats to large audience conventions, including such companies as IBM, SAP, Microsoft, Roche, Haier and Huawei, professional organizations such as the ITU, the IAPP, and the AACC. *Every speech is customized to optimize the impact, and he uses compelling visuals to illustrate and emphasize the main points he’s making." Big Data is not Mayer-Schönberger’s only area of expertise. The author of the path-breaking book Delete – The Virtue of Forgetting in the Digital Age, he has also talked about the role of human remembering when capturing and storing digital memory, and the related issues of user trust and information privacy. More generally, he has spoken about the evolution of the information economy, and how our work and our lives change because of our digital tools and networks. Viktor Mayer-Schönberger is an expert on the role of information in the networked economy, discussing how big data is going to changes how people live, work, and think. He is also a prolific author and the professor of internet governance and regulation at the Internet Institute at Oxford University. He has been studying data privacy, governance in virtual worlds, law and entrepreneurship, e-government, and big data and is an advocate of the right to be digitally ‘forgotten’ in the form of expiration dates for personal information. An expert on information law and regulation, he advises businesses, governments, and international organizations on the new economy and information society issues. In presentations, he shares compelling examples of organizations and industries putting big data to use and tells stories about how it has led to profoundly surprising insights and advances. He offers three shifts in today’s use of data and why more messy data shows what people need to know, even if it does not show the why. An upbeat and thought-provoking speaker, Mayer-Schönberger engages his audience by letting them experience big data’s potential. Big Data Author. Mayer-Schönberger has written eight books, including Big Data: A Revolution That Transforms How we Work, Live, and Think (2013) and Delete: The Virtue of Forgetting in the Digital Age (2009). He is also the author of more than one hundred articles and book chapters on the governance of information. Best-selling Big Data tackles what big data is, how it will change lives, and what we can do to protect ourselves from its hazards. Mayer-Schönberger argues that big data analytics are revolutionizing the way people see and process the world – and each other. Of the book, Forbes said, “What I’m certain about is that Big Data will be the defining text in the discussion for some time to come.” Delete, which won several awards, looks at the surprising phenomenon of perfect remembering in the digital age and reveals the importance of humans’ capacity to forget. While digital technology empowers people as never before, the perfect record it creates holds unforeseen consequences. Vast Expertise. Viktor Mayer-Schönberger founded Ikarus Software and developed Virus Utilities, which became the best-selling Austrian software product. The recipient of numerous awards for innovation and entrepreneurship, he was voted “Top Five Software Entrepreneur in Austria” in 1991 and Salzburg’s “Person of the Year” in 2000. In 1998, he joined Harvard University, where he taught at the John F. Kennedy School of Government for 10 years. After three years at Lee Kuan Yew School of Public Policy at the National University of Singapore, he joined the Oxford Internet Institute. 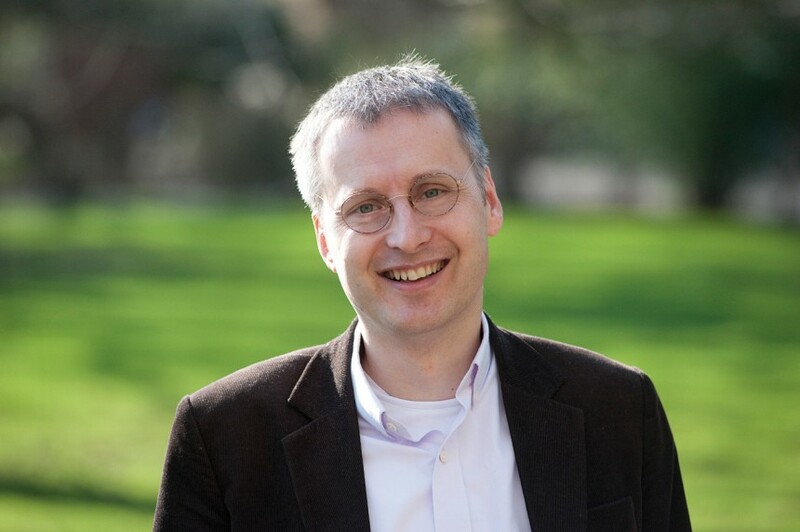 Mayer-Schönberger has chaired the Rueschlikon Conference on Information Policy in the New Economy and is also the co-founder of the SubTech conference. He is a sought-after expert for print and broadcast media worldwide, having been featured in publications and on networks like the New York Times, the Wall Street Journal, Financial Times, the Economist, Science, WIRED, Le Monde, El Pais, Die Zeit, Der Spiegel, Ars Technica, NPR, BBC, and more. Big Data: A Revolution That Will Change How We Live, Work, and Think. In his best-selling book Big Data, Mayer-Schönberger tackles what big data is, how it will change our lives, and what we can do to protect ourselves from its hazards. “Big data” refers to our burgeoning ability to crunch vast collections of information, analyze it instantly, and draw from it sometimes profoundly surprising conclusions. Data’s value has changed; it used to be that organizations collected data for a specific purpose, gathering as little as necessary because it was so expensive. Now affordable and easily analyzed, data can be collected without a specific goal and is leading organizations to surprising insights and advances. In this presentation, Mayer-Schönberger argues that big data analytics are revolutionizing the way people see and process the world – and each other. A revolution on par with the Internet, it changes the way we think about business, health, politics, education, and innovation. He explains why big data is so powerful (it is more effective than random data sampling) and how it also poses fresh threats, from the inevitable end of privacy as we know it to the prospect of being penalized for things we haven’t even done yet. In a talk about the next big thing, Mayer-Schönberger helps audiences understand what they can expect from the vast amounts of information we gather and develop a data strategy for their organizations. Information Privacy: Memory and Forgetting in the Digital Age. An advocate of the right to be ‘forgotten’ in the form of expiration dates on personal information, Mayer-Schönberger looks at the surprising phenomenon of perfect remembering in the digital age and reveals the importance of the human capacity to forget. While digital technology empowers people as never before, the perfect record it creates holds unforeseen consequences. In this talk, Mayer-Schönberger explains why information privacy rights and other fixes cannot help us and proposes an ingeniously simple solution – expiration dates on information – that may. He also explains how big data can help protect privacy in this increasingly digital age, as it can be used to identify and analyzing trends without accessing a person’s sensitive identifying information. Cyber Security: Strategies for the Networked World. An expert on the role of data information in the networked economy, Mayer-Schönberger looks at strategies organizations and individuals can employ to protect themselves from cyber threats, where most vulnerabilities lie, and how this issue will affect relationships between individuals, organizations, and nations in the years to come.